You can help Simpsons Pharmacy by leaving a great review on Facebook, Google and Yelp - thank you! "Absolutely impeccable, professional service from April and the rest at Simpson Pharmacy. Highest recommendation. They have been invaluable with my veterinary medication compounds. If not for their dedication and fairness in business practice, I would be lost with how to meet the medication needs of my pet. Thank you!" "Simpson's will get you any medical equipment or supplies, fast. They have access to everything. Very helpful." "Love this place! I've never have an issue and they always have what I need." "Great prices, friendly and very helpful staff! This will be my new place to go when I need medical items!" "Love this pharmacy. Family owned, incredibly nice and helpful. Found them by chance after my husband needed a prescription that no other pharmacy carried. The next week I transferred all of our prescriptions. Also, during times after surgeries, when I couldn't drive, they would deliver our prescriptions to us." "If you need any medical items go to Simpson Pharmacy." "I can not begin to express my gratitude to Simpson's Pharmacy for their compassionate, professional service and their vast experience and knowledge. They specialized compounding pharmacy which I use for compounded prescription medication for my cat. But more than that they make it affordable. They don't take advantage of your need for a specialized pharmacy for your pet. I paid three times as much at another place until Simpson's was recommended to me by the veterinarian's office. Simpson's staff have assisted me with many other items and information. They have an array of medical equipment and supplies. They really know their stuff. I believe this is third generation owned and operated. You won't find this kind of service or a compounding pharmacy or these types of medical supplies at your local chain store pharmacy. My highest recommendation for Simpson's Pharmacy." "Such a great pharmacy with knowledgable and friendly staff!" "The best customer experience ever! I am forever grateful for the personal attention and knowledge. 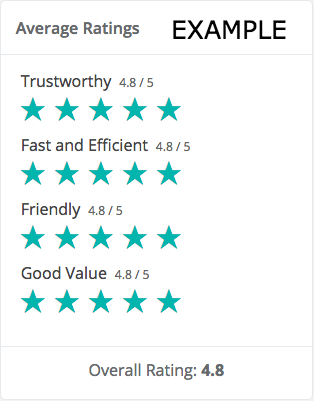 Thank you to Mike and rest of team and yes was it busy and yes -- they were they juggling other customers - but I would have never received this kind of attention at any other pharmacy and of course not online." "Best lil family owned pharmacy around! Been there forever and have everything you need! If they ain't got it, you don't need it! Also very helpful and friendly staff."